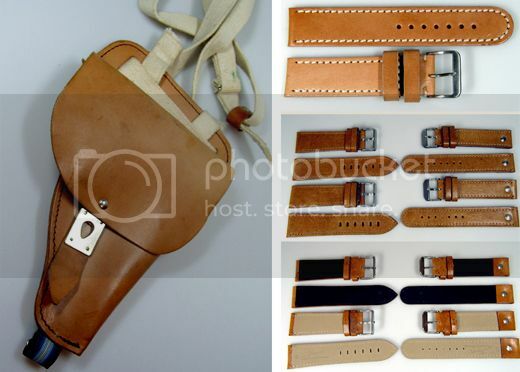 Today is military watch strap day. Not expecting a lot of comments here, but we'll see. First up is Jürgen. 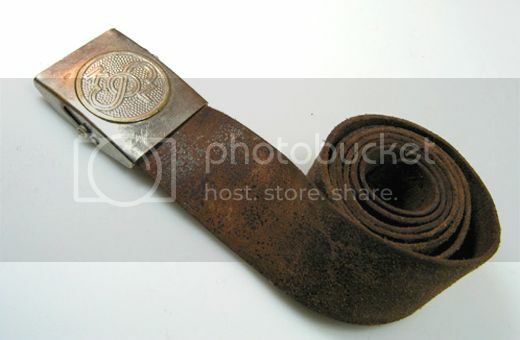 You pick from their list of vintage military pieces, holsters, flight jackets, belts, etc, then send them ALL the measurements and style band you desire. 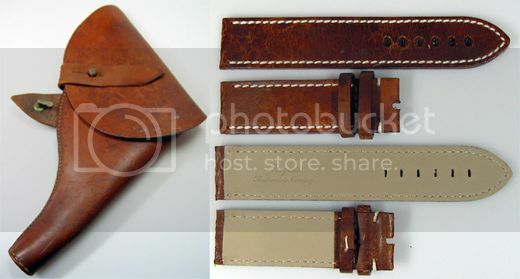 About $100.00 later, you get a completely custom made military watch strap. It's hard for me to see great pieces of vintage get sliced and diced, but if they are to be reborn into amazing watch straps... so be it. 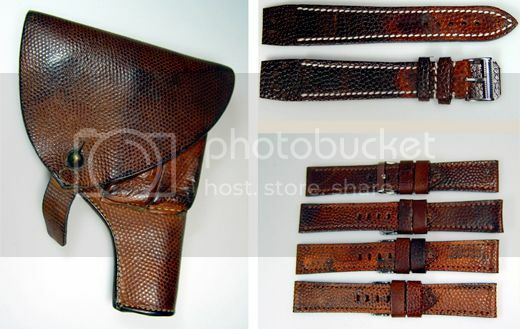 Not like I'm really using my collection of WWII Russian holsters. 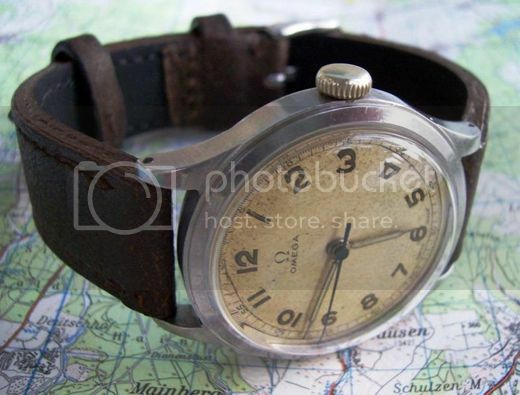 Photo of 1945 Omega "US Army" watch and custom strap by R. Rooney.